Sarah has been involved in the social care sector since the age of 17, and with her sister had previously owned and run a private residential home for adults with learning difficulties and autism. She shadowed another home manager for three months before taking up her present position with Ucan Care Ltd in May 2014. She added :”I love my job and try to do my best for the residents. There is a team of 10 at Hillside offering a seven days a week, 24 hours a day service. The home has large grounds which have been turned into gardens for the residents. “Planting a seed and later having the result on a plate can have a great effect,” said Sarah, who has a degree in Health and Social Care from the University of Newport. 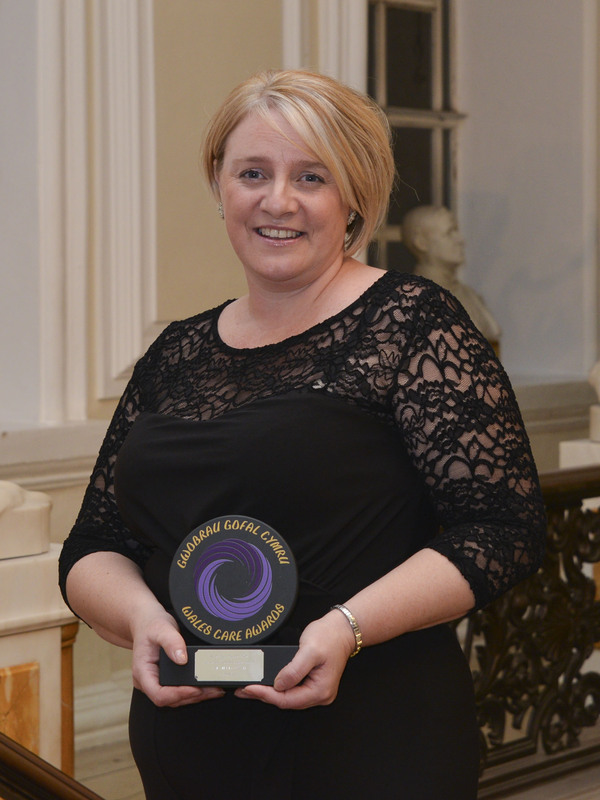 Away from work Sarah still has a busy time, with a small holding at Ystrad Mynach and three daughters aged 9, 11 and 16 – the eldest of whom is already planning a career in the care sector. She was nominated among others by Helen Jones, her managing director, and also by a resident, which is a particular matter of pride. Helen Jones was full of praise for Sarah’s “holistic approach”, including gardening, growing produce and then cooking and eating it. A greenhouse has been bought to help with seedlings and to grow tomatoes and peppers. “It has been well documented about the beneficial properties of gardening, particularly for mental health wellbeing and it is an area that has 100% support from the management,” she declared. An example was in helping a younger resident who came from hospital to the home to further his involvement in a “Streetwise” soccer initiative for the homeless. “She was on the sidelines at every football session giving him support,” recalled Miss Jones. The MC for the awards evening was opera singer Wynne Evans, aka Gio Compario from the television adverts for Go Compare. 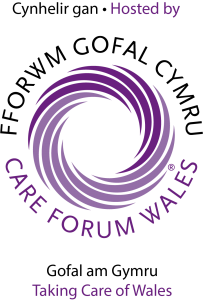 Mario Kreft, the chairman of Care Forum Wales, said the standard of entries was extremely high.